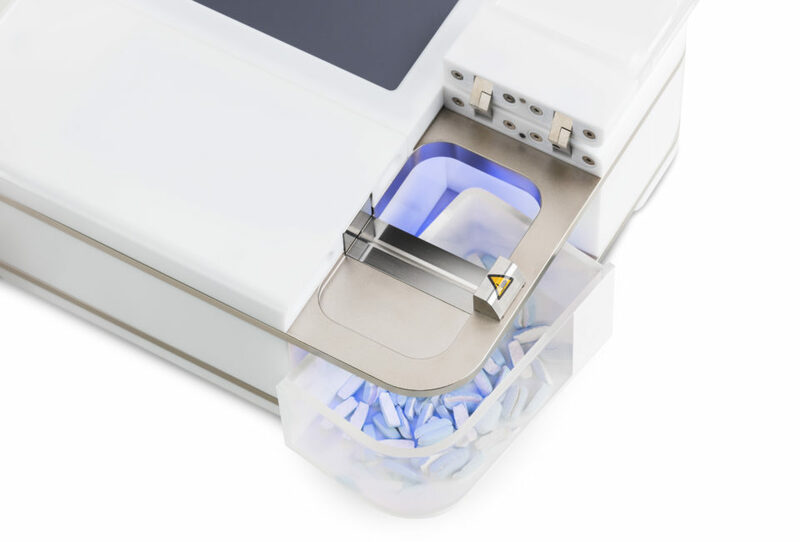 The advanced manual tablet hardness testers of the H-Series combine usability with the latest state-of-the art technology. The H-Series splits into 4 models, every tester model is testing different parameters. 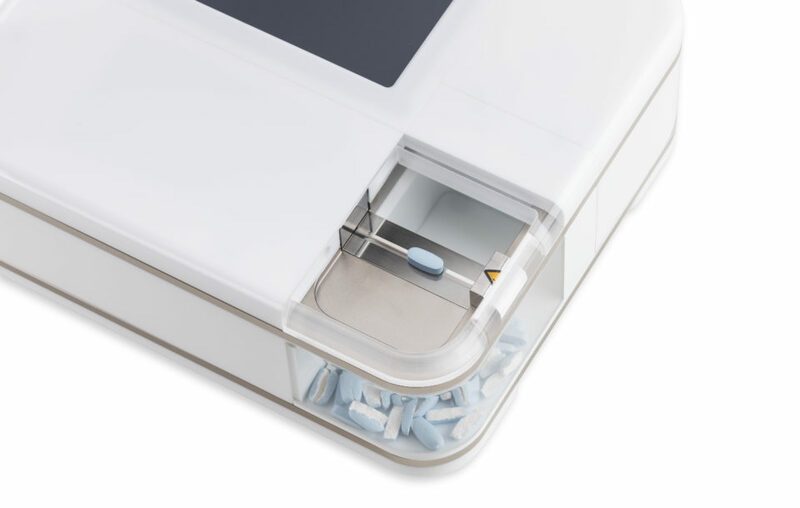 The H4 model is testing HARDNESS, THICKNESS, LENGTH and WIDTH of tablets. 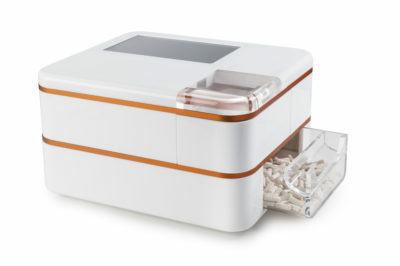 For quick and simple testing, the H-Series offers you a wide functionality in a smallest housing. 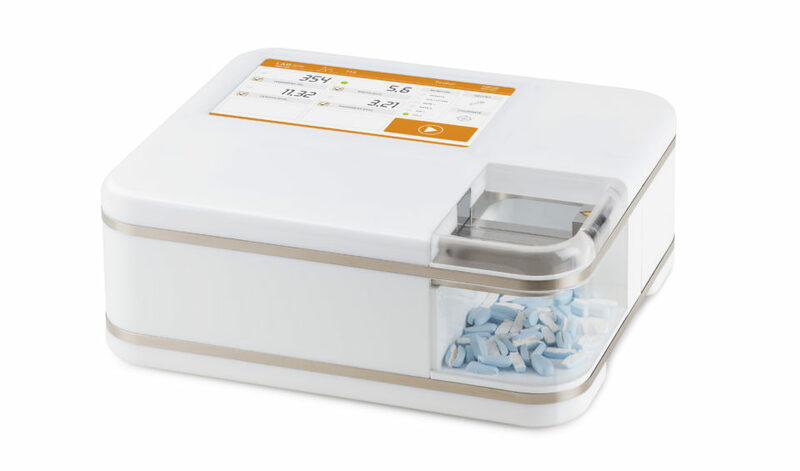 To perform a test, tablets up to 60mm in diameter are placed in the testing station, set up or choose the product receipe and click the start button. So fast! The new LAB.line design also offers many practical advantages. It is very easy to clean due to generous radii, rounded edges and a smooth surface. The clear and comprehensible LED display provides information about the equipment status at all times. The equipment­ status can be easily recognized from a distance. 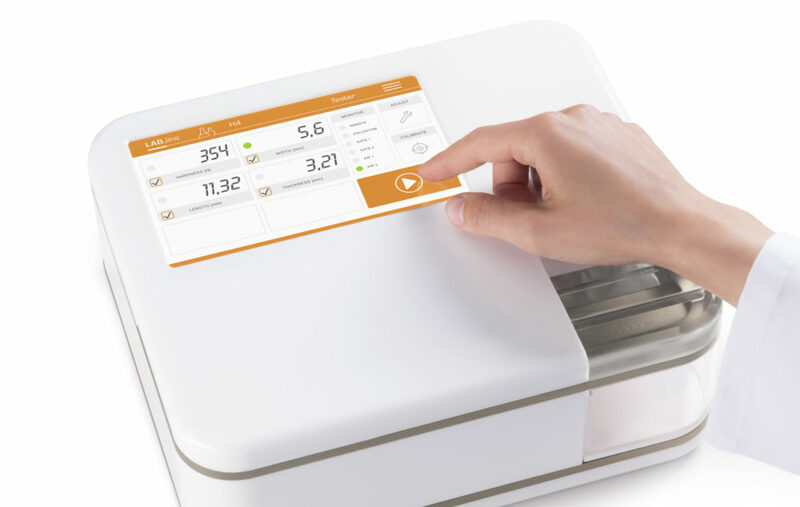 The intuitive touch display enables fast, easy operation. The results are shown immediately on the clearly laid out display, and can be printed out or shown as a PDF report. 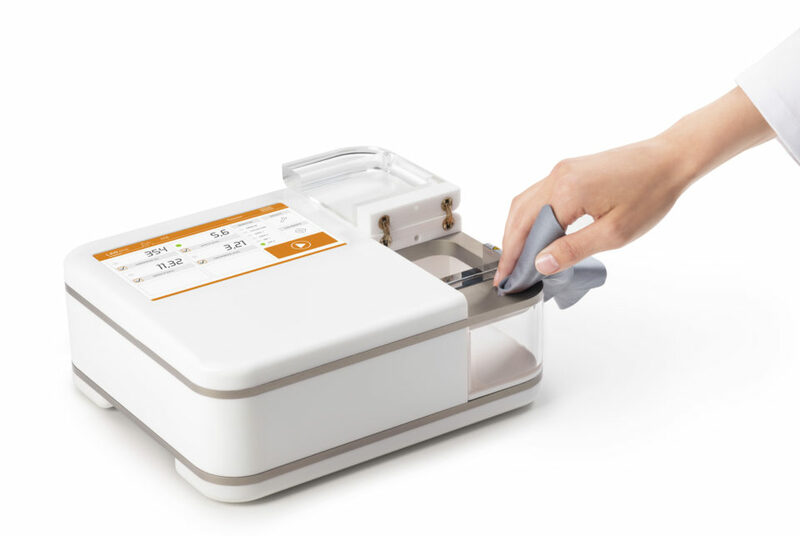 The surface under the tablet hardness test station can be turned. For different tablet shapes, you can use either the grooved or the flat side. The grooved side helps to align oval and oblong shaped tablets. The flat side is often used for small, flat and round tablets. 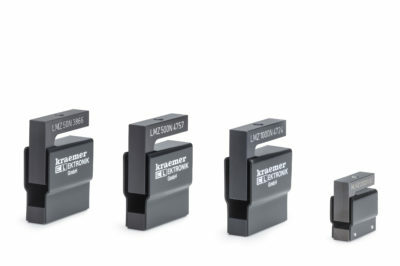 The 800N load cell for particularly hard tablets. 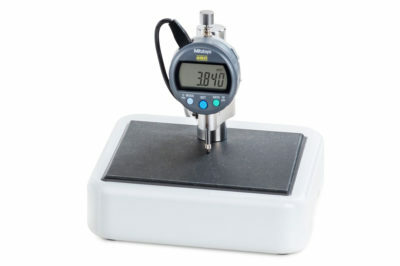 External Mitutoyo thickness gauge: higher accuracy and resolution on difficult shaped tablets. Base with two larger tablet collection containers.